Margaret Atwood is world-famous for her fiction, non-fiction, poetry and books for children. These books have not all been “timely” — or even meant to be. But in “Payback”, she hits the jackpot. At a time when the whole world is going through a period of economic upheaval, she looks at the question of debt not just as a part of high finance, but as it has been part of our lives for centuries, in religion, literature and social human history. 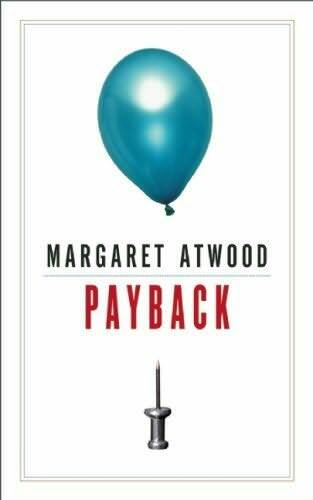 Her book “Payback” came out originally as the 2008 Massey lectures. It was published just as the financial world was shaken by the collapse of a debt pyramid called “sub-prime mortgages”. Atwood points out this attitude had been building for some time. In l950 the first credit card was issued in Canada. By l955 the Canadian household debt-to-income ratio was 55%. By 2003 it was l05.2% and in the U.S. ll4%. Debt could not exist, she notes, without our sense of fairness. This goes back a long way – to the Code of Hammurabi in biblical times, i.e. an eye for an eye. In old Egyptian and Chinese cultures it’s the Tao, or Way; in India the Karmic justice, i.e. return of good for good, evil for evil. We are going through a period when debt has passed through a harmless and fashionable period and is reverting to being sinful, examples starting with the payment of dowries, selling people, and slavery. Atwood looks at Christianity and original sin and the question of the debt of sin. A chapter called Shadow Side examines what happens when people don’t pay their debts, e.g. debtors’ prisons. She gives the book a lift when she looks at literature, e.g.Shakespeare and Hamlet: “neither a borrower nor a lender be”, and Charles Dickens, with lots of examples from Ebenezer Scrooge. Her last chapter is called Payback and she ponders how we look at things, wondering whether we should add things up differently and calculate the real costs of how we’ve been living. This leads to the huge world of natural resources and what we’ve been taking out of the biosphere. Perhaps another book?